Check out the cover to Between Black and White! I am excited to share the cover for Between Black and White, the sequel to The Professor! Stay tuned for updates as we move closer to publication. Just six months away! Can’t wait to read it! Just preordered! Can’t wait to have our book club read your new book! We all enjoyed The Professor! I just finished reading The Professor. I enjoyed the book so much. I live in Prattville, AL and enjoyed the Bear Bryant erra. Now enjoying the Saben terra. I read the book in one day because I wanted to find out how it ended. I enjoy legal novels and enjoyed it tremendously. Thanks, Paula! I’m so happy that you enjoyed the story. Please be sure to look for the sequel, Between Black and White, this March. Thanks again for your nice note! I just finished The Professor and loved it. It’s hard to believe it’s your first novel. I pre-ordered Between Black and White and look forward to that and many more in the future. Thanks, Jeanette! I’m so glad you enjoyed the story and I appreciate your pre-order of Between Black and White. I am very excited about the sequel! Please stay tuned to my website and Facebook page for updates. Just finished the Professor and was thrilled with the entire book! I stayed up late last night to finish it. It’s been a long time since I’ve enjoyed a book so much! I can hardly believe this is your first novel. And I love animals and ‘Bear’ Bryant football! It was a real page turner! Can NOT wait for the sequel! Congratulations, you knocked it out of the park! Thanks, Janice! I’m so glad you enjoyed the story! The sequel, Between Black and White, comes out in March. Thanks again for your nice note. So glad the new book will be out in March! Our book club will be reading it in Cullman. Hope you can come and visit again! Will we be able to pre-order on B& N too? Hey, Elta! It is great to hear from you. That is awesome about your book club. I would love to come back and visit! I think you will be able to pre-order off Barnes & Noble. Thanks again for your note! I just finished reading the Professor and I loved it. I really enjoyed all the characters so much. I have preordered. Between Black and White already. Thanks, Connie! I’m so glad you enjoyed the story. I can’t wait to hear what you think of the sequel! Thanks again for your nice note. I’m from Ireland, I don’t know much about football or courtrooms but after The Professor, you have me hooked Mr Bailey! What an incredible first book, you have an exceptional, God given talent. I’m currently recovering from a persistent illness and your book has given me the first adrenaline rush since I took sick, Thanks. Looking forward to the sequel now. Thank you, Andi! I’m so happy that you enjoyed the story. I hope you have a good recovery! The Professor a first novel? Read like a seasoned author. I simply could not put it down. I have already pre ordered your next and can’t wait. I am a LSU retiree and we have not beaten Bama an Nick Saben in 5 tries. This year’s loss almost cost Les Miles his job. All I can say is wait till next year. Thanks, Jim F! I’m so glad you enjoyed the story and I appreciate the pre-order of Between Black and White. The LSU-Bama game is always such a great game! Anyway, thanks again and I hope you and your family have a happy holiday season! Thanks, Janice! I’m glad you enjoyed the story and the Hazel Green references. 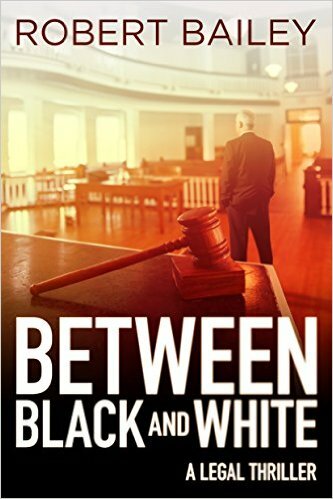 Be sure to check out the sequel, Between Black and White, when it comes out in March. Thanks, again! Thanks, Kathryn! I’m so glad you enjoyed the story and I appreciate the pre-order for Between Black and White. I have now started book three, and am excited about continuing to develop these characters. Anyway, thanks again for your nice note. Thanks, Charlie! I’m so glad you enjoyed the story and I appreciate the pre-order on Between Black and White. I’ll try to keep ’em coming–just started working on book three! Thanks again! Time to quit the day job as well as the 4:00am wakeups. You are too talented as a writer to not be writing full time! Thanks, Rusty! I appreciate the vote of confidence. I hope you will check out Between Black and White when it comes out in March! Thanks again for the kind words. to be beaten by cheats, threats or intimidation. I’ve read many, many books in different presentations of court procedures and suspense and this book is unforgettable and difficult to put down. Your writing rates with John Grisham, William J. Coughlin, Ken Follet, Lisa Scottoline, Victor Methos, Michael Connelly and the list is endless. My name is Anne from Australia, in the state of Queensland. I will be ordering your next book with eagerness to read the Professor’s next challenge in his life. Anne, thanks so much for your kind words. I’m so glad you enjoyed the story. It warms my heart to know that my story has reached Australia. The sequel to The Professor, Between Black and White, comes out on March 15th and will present new challenges for Tom and Rick. Can’t wait to hear what you think of it. And I’ve just started a third book in the series! Anyway, thanks so much for your note. It made my day!